Doubtful I’d put something with the word ‘peeing’ printed on it in the middle of the table at a dinner party. wow … really cool design … clean and simple! Doesn’t bother me one bit that it says “peeing” on the side of the bottle. I think this is great, messages and all. Anyone know if you can buy these online? I really like these printed water bottles. I have recently bought a new one from swiggies. I think zku has missed the point. These are just used in the house. They are filled from the tap, put on the dinner table, poured from, and when empty, they are filled with more water from the tap etc.. I think you misunderstand and believe they are to be crushed and remade each time. Recycling plastic is not very often done. The virgin material is just too cheap. It tends to get shipped off to other countries and just landfilled there. There are complications to do with the ‘mix’ of plastics too which will need sorting out before recycling plastic is economic and easy. Wait…what about my empty mayonnaise jar? Can’t I still use that? And Milady makes some great points, it’s more effort than you would think to recycle plastic. 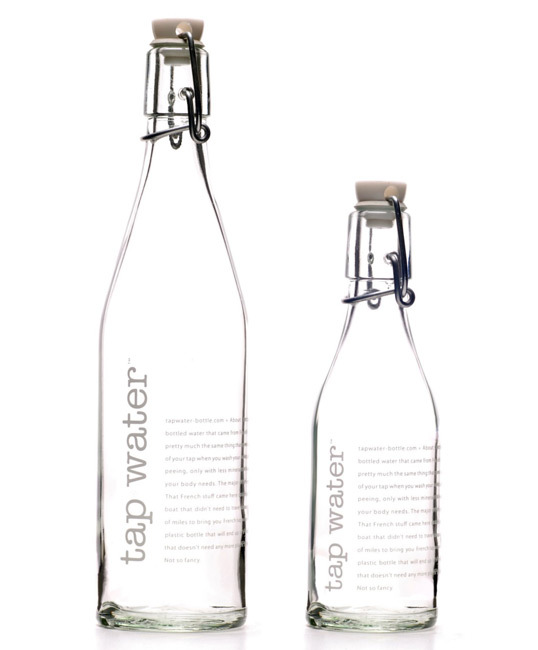 I think this is a great idea, people can get so snobby about their bottled water when they may not even realize that tap water is actually very beneficial to the body. 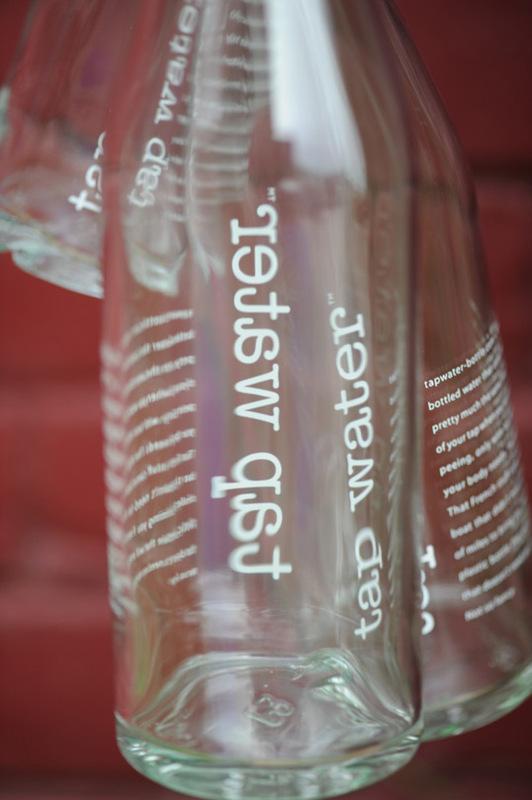 More so than most bottled waters. And not to mention much more environmentally healthy. So clean and cool. Absolutely one of my favourite bottles. Does anybody know if it’s possible to by it in Europe (Sweden)? where can i buy 200 of these bottles ? Would be posible to get this water bottle?